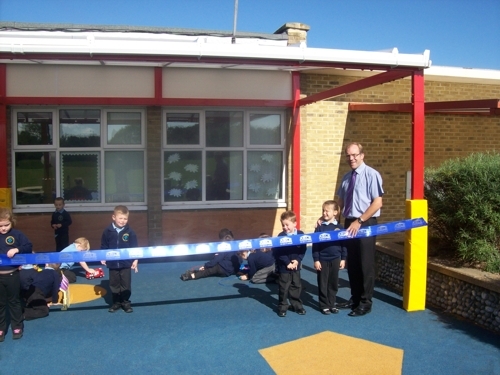 Children and staff at Newington Community Primary School are celebrating the completion of two new multipurpose canopies at their school in Ramsgate, Kent. The school which has been educating the children of Ramsgate for 4 years, wanted to improve the learning environment for their pupils, enabling them to learn and play outdoors whilst keeping safe from the sun’s harmful UV rays. The children can continue to enjoy the benefits of learning and playing outdoors for many years to come.